If you decided to apply for a visa to Australia, you might have faced a problem of choosing the most suitable visa option for you and your family. 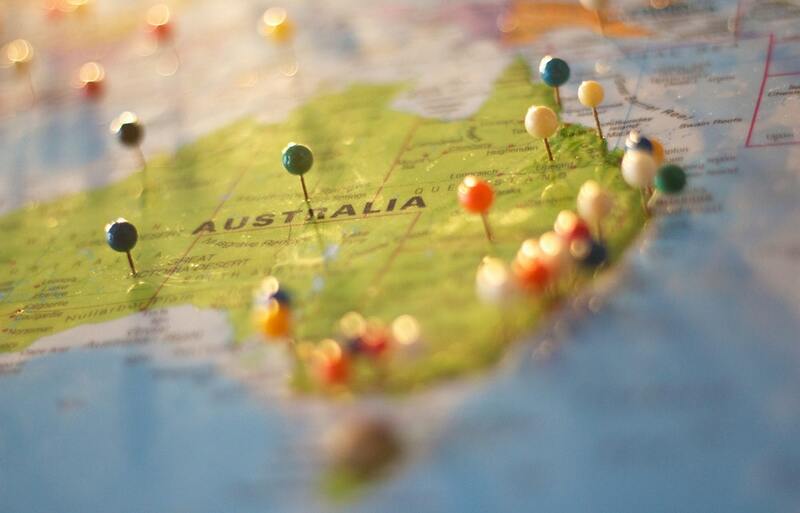 Please therefore find below an overview of the most common visas to Australia and their major requirements, which may assist you in understanding and choosing the best visa option based on your circumstances. Student (Subclass 500) visa option may be suitable for you if you intend to undertake a course or courses of study in Australia. Generally, a student visa applicant must be enrolled in a course of study that is registered on the Commonwealth Register of Institutions and courses for Overseas for Overseas Students (CRICOS). In addition, an applicant needs to comply with a ‘genuine temporary entrant requirement’ (GTE requirement). It requires the applicant to satisfy the Department of Immigration and Border Protection of Australia (DIBP) that the applicant genuinely intends to stay in Australia temporarily to study. That criterion is dependent on a wide range of factors, which are considered by the DIBP on case-by-case basis, including: an applicant’s travel (immigration) history, personal circumstances, circumstances in their home country, and any other relevant matter. Student visa does not have restriction as to the maximum age of the visa applicant. However, it may often be difficult for mature age students with successful career in their home country to satisfy the GTE requirement. Student visa is a temporary visa and generally is not a recognized pathway to permanent immigration to Australia. This visa option is for you if you have secured a job offer in Australia and your employer is willing and able to sponsor you for that visa. There are two types of work visas: temporary (Subclass 457) and permanent (Subclasses 186 and 187). All work visas generally require an applicant to have minimum English language proficiency. To satisfy that requirement, Subclass 457 visa applicants must normally reach an overall score of at least 5.0 with a score of at least 4.5 in each of the four test components in International English Language Testing System (IELTS) test (or other approved equivalent), unless an exemption applies or the higher score is required (e.g., for medical practitioners). Applicants who are applying for Subclass 186 or 187 visa directly must normally reach the score of 6 in each component of IELTS (or other approved equivalent). While Subclass 457 visa has no restriction as to the age limit of the applicants, Subclass 186 and Subclass 187 visas generally require an applicant to be under 45 years old. Work visas stream is expected to be amended in March 2018 and we will keep you updated on the amendments. Most skilled applicants consider GSM visas (Subclasses 189, 190 and 489) as their preferred option to secure their Australian permanent residency and, potentially, Australian citizenship. While Subclass 189 and 190 visas allow its holders to live and work in Australia for an indefinite period of time, Subclass 489 visa is a temporary visa and a pathway to Australian permanent visa. Skilled visas are generally based on an occupation of an applicant, which must be on a specified list of occupations for Subclass 189, 190 or 489 visas. If your occupation is not on that list, you will not be eligible for a skilled visa. reach 60 points in a points test, which is generally based on the age, qualification, work experience and English language competency of the applicant. In addition to that, some skilled visas (including Subclass 190 and Subclass 489) require an applicant to be nominated by a State or Territory government or be sponsored by an eligible Australian relative. If you are a partner, spouse or intend to marry an Australian citizen or Australian permanent resident, you may consider applying for a partner or prospective marriage visa, as the case may be. If you choose to do so, you will be required to satisfy the criterion of genuineness of your relationship or intention to marry and provide sufficient evidence of that. Most of the partner or prospective marriage visas are refused because applicants fails to provide satisfactory evidence to satisfy the DIBP that their relationship is genuine and continuing. You must therefore ensure that you have sufficient evidence to support your visa application before the application is made. If you have children in Australia who are settled Australian permanent residents or Australian citizen and have less or equal number of children residing in any other country than in Australia, you may be eligible for a parent visa. Most of the applicants apply for so-called contributory parent visas, either temporary or permanent. Contributory parent visas are expensive to apply for due to a high visa application charges for those visas, which may reach $92.240 for a couple. However, processing of those visas is much quicker than processing of non-contributory parent visas, the queue for which currently exceeds 15 years and makes it unreasonable for the applicant to be considered. All parent visas require sponsorship. Normally, parent visa applicants are sponsored by their child who is a settled Australian resident or Australian citizen. The sponsor is generally required to provide an Assurance of Support and pay the Assurance of Support bond. An Assurance of Support is a legal commitment by a person to repay to the Australian Government certain recoverable social security payments made by Centrelink to those covered by the assurance. Business visas are suitable for highly experienced business managers and may also require substantial investment in Australia. Some of the business visas require a State or Territory to sponsor or nominate you before you could lodge a valid visa application with the DIBP. For more detailed description of business visa options, please refer to our ‘As It Is’ publication of 6 October 2017. Immigration Lawyers Sydney at Pavuk Legal can assist you with selecting and applying for the most suitable visa for you based on your circumstances. You may also need advice on other matters relating to acquiring of property or establishing business operations in Australia for which our experienced Corporate Lawyers Sydney in Pavuk Legal can provide you with extensive advice.